Then watched as tears fell down your face. At least they only hit you twice. 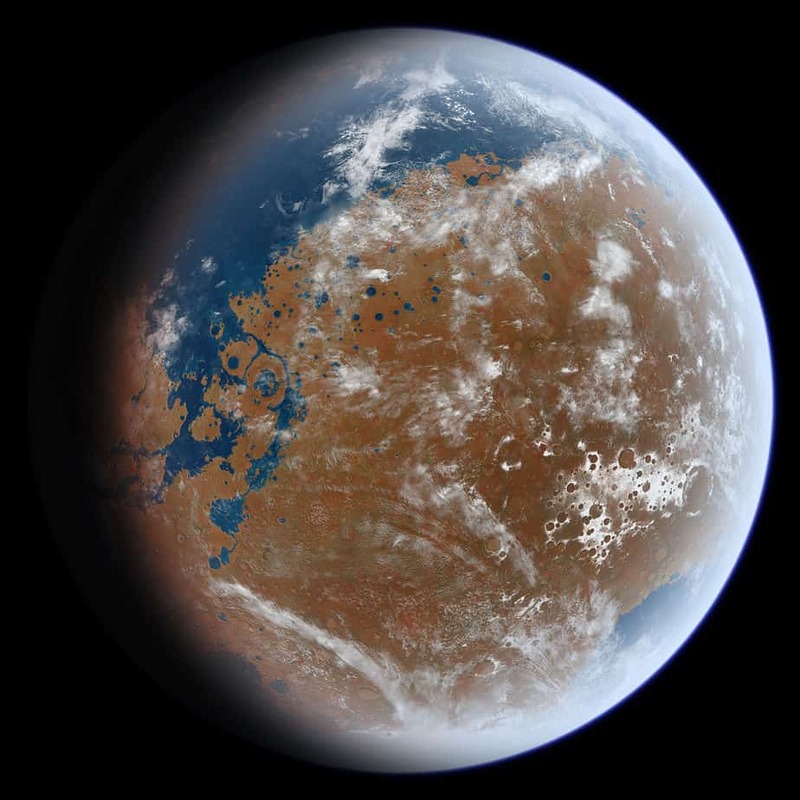 What Ancient Mars may have looked like (Photo Credit: Ittiz, via Wikimedia Commons). This is a Rispetto that is inspired by recent research, which found that the terrain of early Mars (~3.4 billion years ago) was heavily influenced by two mega tsunamis, caused by meteorite collisions that occurred a couple of million years apart. The study indicates that the second tsunami was in fact an ice surge (a surge of ice from an ocean or large lake onto the shore) rather than a liquid water wave, which would suggest that in the years between the two tsunami events the climate of Mars became significantly colder. Here is a video of an Ice Surge in Canada, filmed by the Saskatchewan Water Security Agency in 2013. The fronts of this ice surge were found to be very similar to those that occurred on Mars several billion years ago.